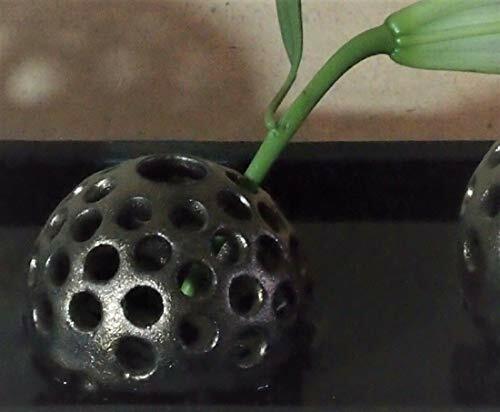 Flower Arraging Pin Frog Holder Measure 2.4 Inch in diameter. Small Ikebana Kenzan Pin Frog arrangements for your pot lid vase. 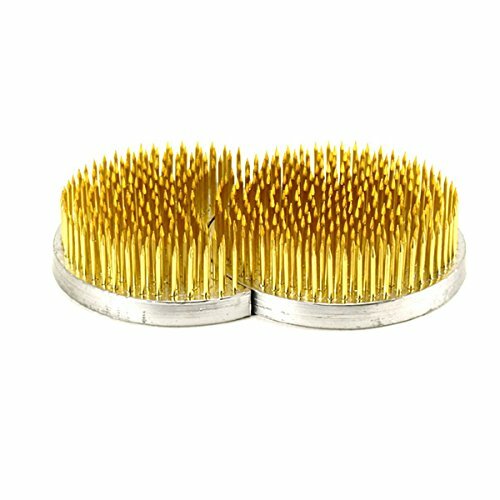 Gold Pin Flower Frog Arraging holder with high quality. 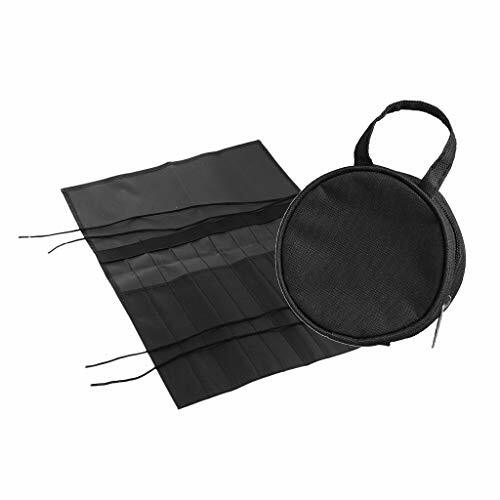 Safty: Includes rubber gasket which fits around the base to prevent scratches or damage to vase. 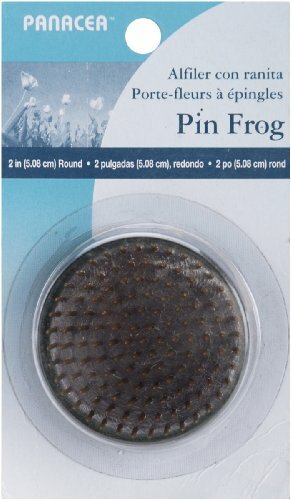 Pin Frog 1-1/8" Round 1/Pkg-Green PANACEA PRODUCTS-Pin Frog. Use a pin frog to create flower arrangements in small shallow containers. Just press the base of the stem onto the brass pins and use sticky clay to attach frog to your vessel (sticky clay sold separately). This package contains one 1- 1/8in diameter green pin frog. Imported. 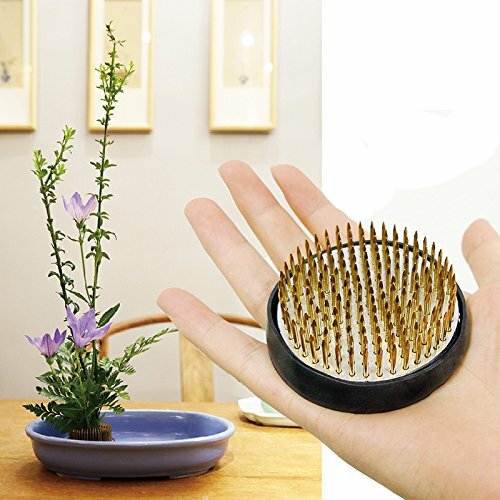 A kenzan, also called spiky frog, is a specific device used in the Japanese art of flower arrangement ikebana for fixing the flowers in the container. Kenzan or Japanese flower frogs, are used for keeping flowers in place in an arrangement. The base of a kenzan is very heavy, preventing any movement when submersed in water or when used to arrange a large amount of flowers or branches. 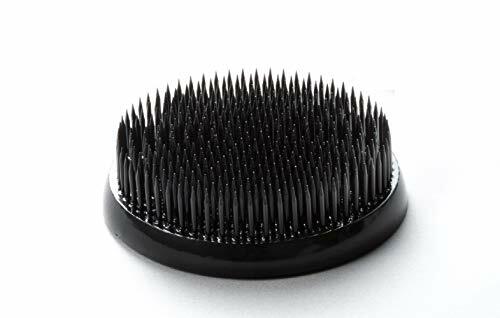 The sharp, stainless steel needles attached to the base are very sturdy, helping to keep the flowers and branches securely in place. 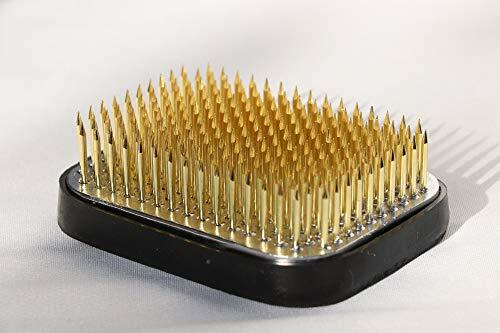 Traditionally, kenzan are made of gold-colored brass needles, which can often distract from the flower arrangement due to their brightness and shininess, especially when used in dark colored vases. This black kenzan solves the problem by concealing itself thanks to its dark color, leaving the natural beauty of the arrangement to take the spotlight. PANACEA PRODUCTS-Pin Frog. Use a pin frog to create flower arrangements in small shallow containers. Just press the base of the stem onto the brass pins and use sticky clay to attach frog to your vessel (sticky clay sold separately). This package contains one 2in diameter green pin frog. Easy to use. Material: High quality iron wire + Outside environmental protection plastics, Ideal for DIY creating any floral project. 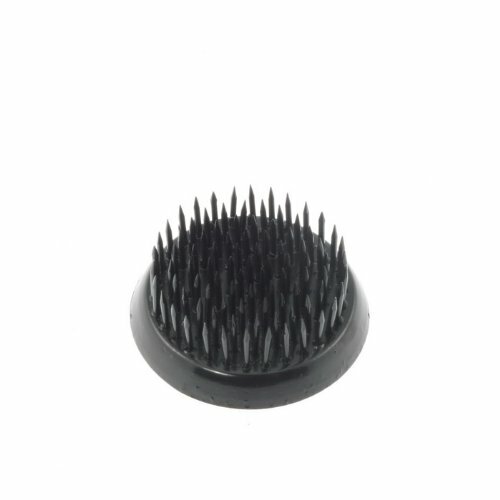 Size:long 15.74 inch/40 cm, diameter 0.07 inch/ 2mm;It is flexible and can be twisted easily without fracturing, which will bring more convenience during the craft making. Package Includes:50 pieces floral stem wire, is suitable for flower arrangement, stem-wrapping bouquets, craft projects corsages, wedding bouquet, artificial flower. Colors : Dark green, can provide a neutral or colorful finishing touch to creative and original floral work. Floral stem wire it is used for everything from jewellery making to securing wedding bouquets, wiring fresh flowers, floral arrangements and many other things around the house. Arlai Is Registered Trademark And Protected By US Law! 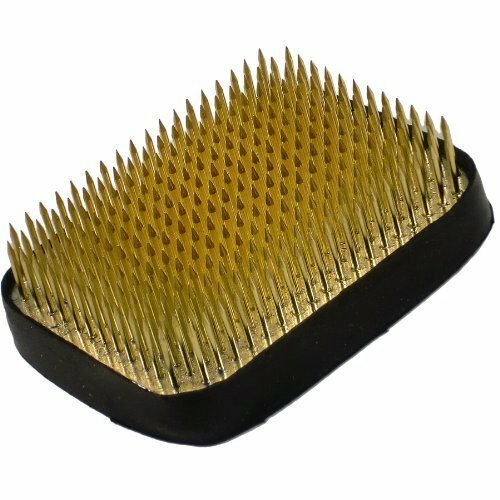 !USE - Perfect for any DIY floral project or Flower shop. 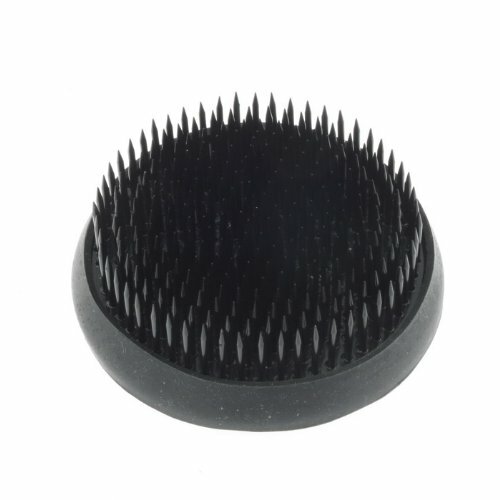 Material: High quality iron wire + Outside environmental protection plastics, Ideal for DIY creating any floral project. 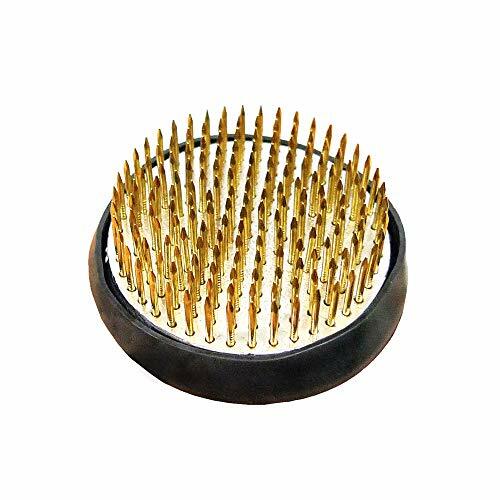 Size:long 15.74 inch/40 cm, diameter 0.07 inch/ 2mm;It is flexible and can be twisted easily without fracturing, which will bring more convenience during the craft making. 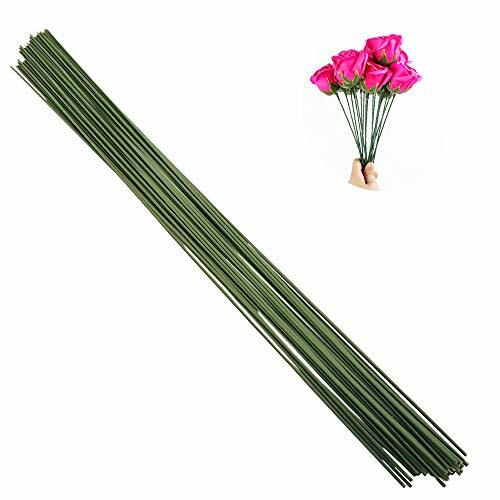 Package Includes:50 pieces floral stem wire (It does not contain flowers), is suitable for flower arrangement, stem-wrapping bouquets, craft projects corsages, wedding bouquet, artificial flower. Colors : Dark green, can provide a neutral or colorful finishing touch to creative and original floral work. Floral stem wire it is used for everything from jewellery making to securing wedding bouquets, wiring fresh flowers, floral arrangements and many other things around the house. Please choose the appropriate size / color of Kenzan. Enjoy the traditional Japanese culture! Kenzan is one of the tools used in ancient Japanese art called Ikebana. Currently Ikebana is held all over the world. 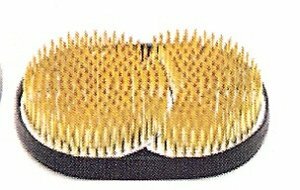 Hanakatsu is the most famous Kenzan professional manufacture in Japan, and it is a authentic Kenzan that is produced one by one by skilled craftsmen. 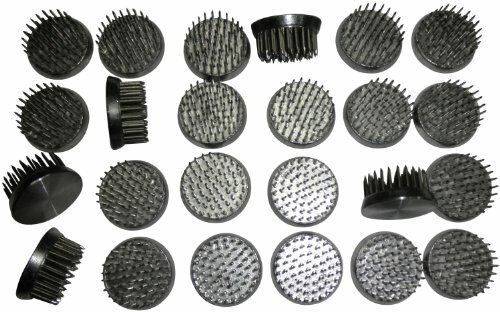 Hanakatsu has many types of Kenzan. Three kinds of colors are also available. 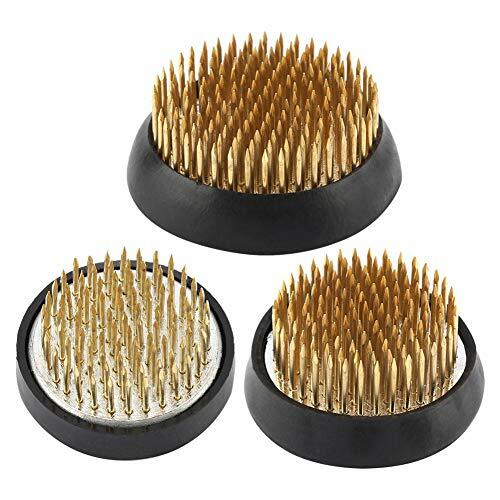 The most commonly used and brilliant shine of gold, strong rust resistant, Silver with stainless steel needle, black expressing a calm atmosphere and style. Many Japanese Ikebana schools, such as Ikenobo, also use these Kenzan. There are still many other types, so we plan to sell them in order. Kenzan or Japanese flower frogs, are used for keeping flowers in place in an arrangement. The base of a kenzan is very heavy, preventing any movement when submersed in water or when used to arrange a large amount of flowers or branches. 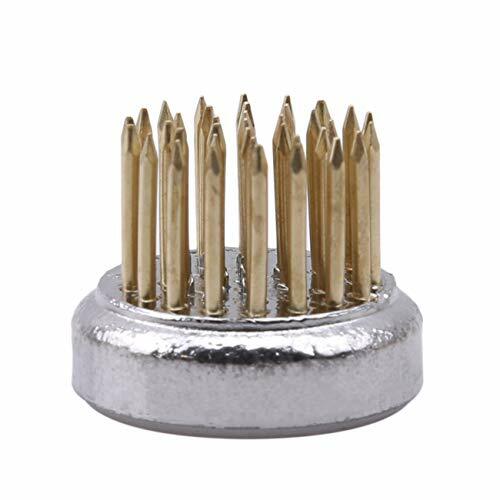 The sharp, stainless steel needles attached to the base are very sturdy, helping to keep the flowers and branches securely in place. 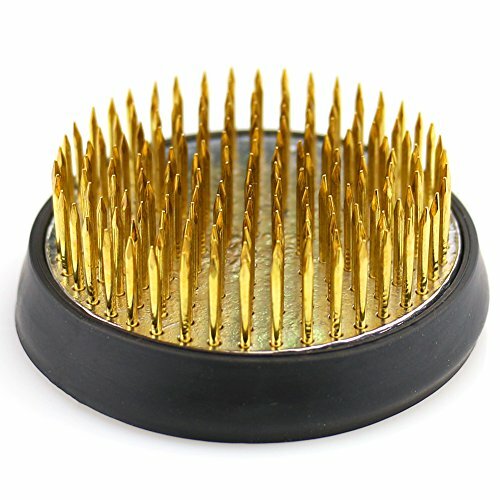 Traditionally, kenzan are made of gold-colored brass needles, which can often distract from the flower arrangment due to their brightness and shininess, especially when used in dark colored vases. This black kenzan solves the problem by concealing itself thanks to its dark color, leaving the natural beauty of the arrangement to take the spotlight. 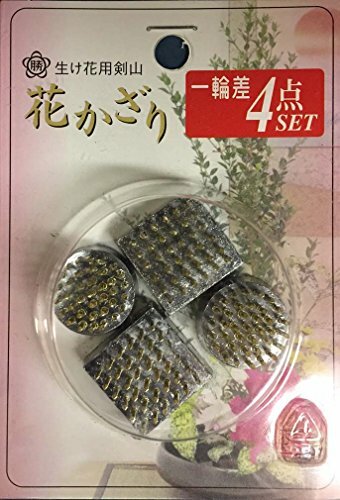 Set of 4 flower arranging kenzan. The square kenzan is 7/8 inches square and the round measures about 7/8 inches across. Made in Japan. These measure 7/8 inches in diameter. Features chicken wire on top to create a rustic and functional flower frog. 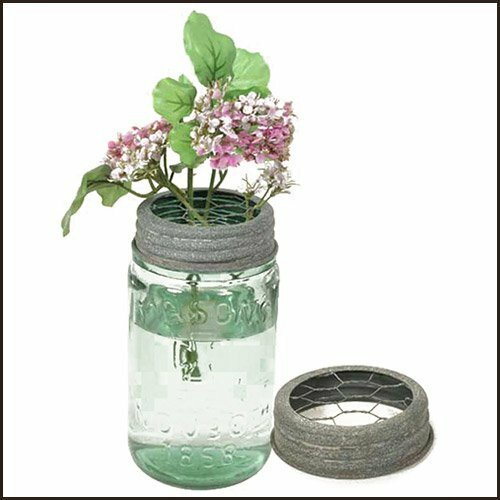 3" diameter lid will fit any standard mason jar. Jar is not included. Barn Roof Finish. Each. Green Tip: Indoor plants add atmosphere and also help to clean the air. One easy plant to grow indoors is the philodendron. Use our Mason jar flower frog to propagate new Philodendrons. Put a few cuttings in the jar with some water and let the plants root. Features chicken wire on top to create a rustic and functional flower frog. 3 diameter lid will fit any standard mason jar. Size: Ikebana Kenzan 2.36 x 2.36 inch. Needles 0.51 inch length. 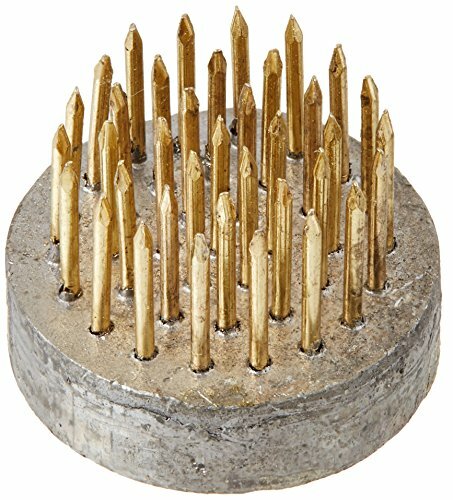 Material: Steel, Rubber and Copper Needles. 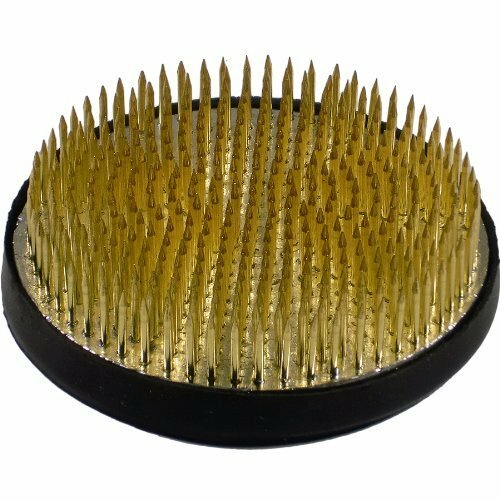 Includes rubber gasket which fits around the base to prevent scratches or damage to vase. 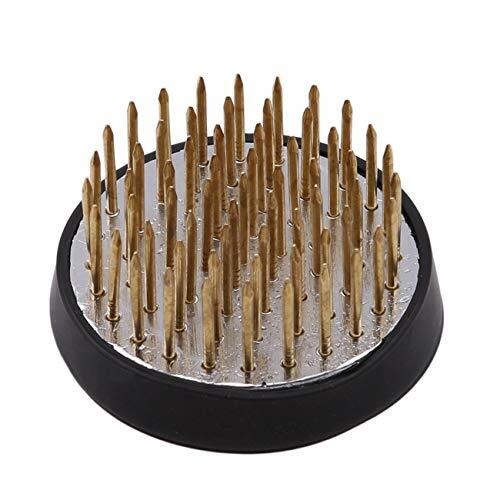 Gold Pin Flower Frog Arranging holder with high quality. 1. Please allow 0-1 inch error due to manual measurement. Thanks for your understanding. Kenzan is one of the tools used in ancient Japanese art called Ikebana. Currently Ikebana is held all over the world. Hanatama style is a novel new type of Kenzan. 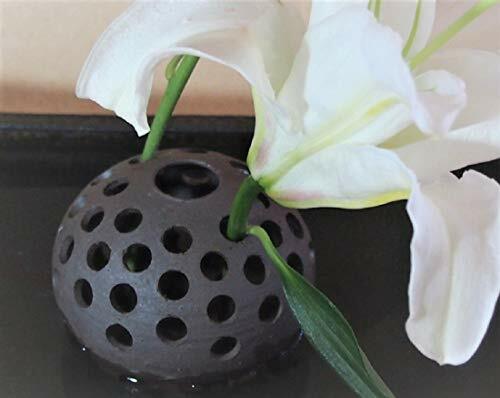 Instead of sticking flowers on the kenzan, we can arrange flowers by inserting them in the holes. Since we do not stick flowers on kenzan, we can keep it natural as it is without damaging the flowers. It is liked by flower arrangement lovers who love their natural life. Hanatama is handmade by experienced ceramic artists one by one, and has high value as a work of art. Hanatama style is a novel new type of Ikebana (New Kenzan). Without damaging the flowers, it is liked by flower arrangement lovers who love their natural life. It is handmade by skilled artists and it is very valuable. Tools Bag - approx. 46*35cm/18.11*13.78"
Kenzan Bag dia - approx. 12cm/4.72"
Japanese sun and moon shape kenzan Ikebana for flower arrangement. The measurement are approx. 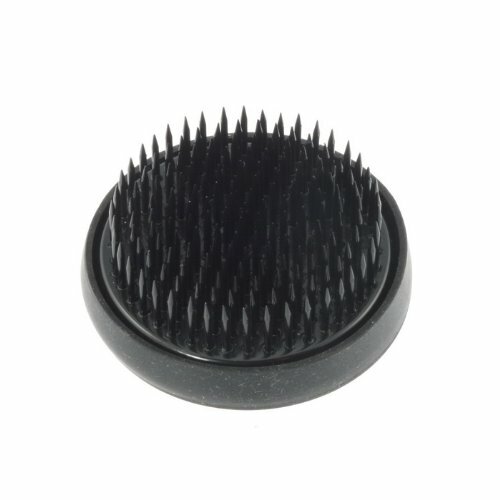 4-1/4" x 2-5/8". It is brand new and made in Japan.